If you’ve been waiting for an offer you can’t refuse – you’ve found it! I’m a hopeless romantic and I want to share the love with a special photography package offer just in time for Valentine’s day. Now if you’re thinking: Valentine’s Day is only for ‘lovebirds’ who are swept up in the card companies, florists and chocolate makers efforts to exploit one day of the year… that’s perfectly ok with me, I get it! Truthfully, I have been married for 20 years and we celebrate our love every day, not just on February 14. Valentine’s Day, to me, is a day of love, friendship and celebrating life. Buy something different this Valentine’s Day – purchase a Glamour Photography Session with Solo Images Photography. 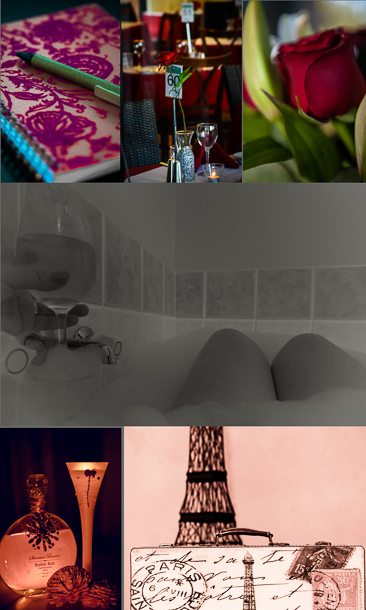 Come alone or with something special, be pampered, photographed like you’ve always dreamt and know you’ve invested in a gift you will treasure for life. So don’t think of it as Valentine’s Day, think of it as the perfect opportunity to have those photos taken of yourself that you keep putting off. You know you want to. There are a limited number of sessions available and offer expires on 14 February 2015. Sessions can be scheduled up to 2 months after the promotion expiry date. So if you are like me Valentine’s Day is one of those days that has never been big in my world but it can be a fun celebration of love if you are creative, so if you have missed the boat today and are still in need of a gift for your partner I have put together my top 5 creative ideas for you. 14 reasons I love you. This can be achieved in many ways depending on your creative mind. You could write them down on separate pieces of paper and put into a jar, you could write them as a poem or you could even hide them all through the house for your partner to find. Might not sound creative but bring this idea into the 21st Century and head into itunes and put together a love collection “tape”, download to your partner’s phone/ipad or ipod and send her a message to say open the love collection. This one is purely for the ladies and boys no – it’s not what you are thinking. Clean down the bath, grab the bubble bath, candles and a glass of wine and have a nice hot relaxing bubble bath waiting for her when she comes home. If you are lucky boys it might turn into what you were thinking. Decorate the dinner table using a special place as a theme (in my case it would be Paris) cook a lovely dinner, grab a bottle of wine and treat her to a romantic home cooked meal made with Love. Spoil your partner rotten and do all four above (just kidding) seriously if all else fails and you can’t do any of the above my number one pick would be to buy her a gift voucher from Solo Images Photography for a glamour photo session. She will be pampered and glamorised and love you forever.